Lindsay Riesch, PhD, is a licensed psychologist in the Autism and Developmental Disabilities Clinic and the Autism Treatment Programs. 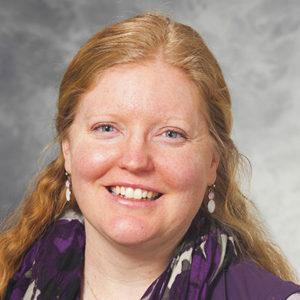 She completed her doctoral program in the School Psychology Program at the University of Wisconsin-Madison and a postdoctoral fellowship through the Waisman Center. Her clinical interests include diagnosis of autism spectrum disorders (ASD) and other developmental disabilities, as well as treatment of anxiety, depression and other co-occurring behavioral challenges for children and adolescents with ASD.